The annual meeting of the British Ecological Society is a little different in 2014: for the first time, it joins up with the Société Française d’Ecologie for a joint conference. The idea is to bring together ecologists from the two countries to promote exchange and debates and "strengthen cooperation between the French and British researchers of tomorrow". 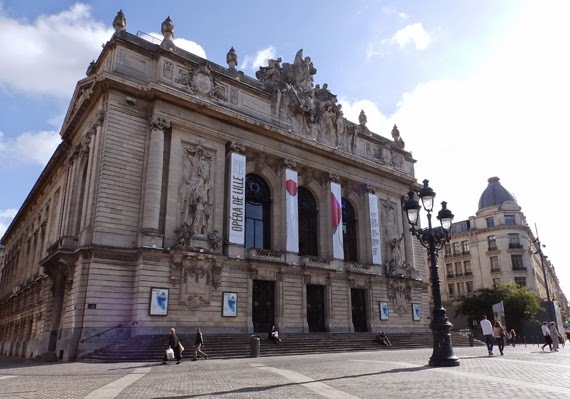 The meeting takes place at the Grand Palais in Lille, the capital of French Flanders, from 9-12 December 2014. Scientists and students from the Centre for Ecology & Hydrology are represented in a number of sessions, giving presentations and showcasing scientific posters on a range of topics including tree health, citizen science, agricultural ecology and climate change. Detailed information on all the talks and posters is available via the event app, although session and speaker names are outlined in the PDF programme. You can also follow all the chat on Twitter with #BESSfe. Marc Botham presents on The UK Butterfly Monitoring Scheme: what can long-term monitoring tell us about the state of butterfly populations on farmland? Callum Macgregor (Phd with the University of Hull and CEH ) has a poster on How does light pollution affect nocturnal pollination interactions? Jodey Peyton presents on Open Farm Sunday Pollinator Survey: Citizen science as a tool for pollinator monitoring?